One of my favourite activities at the moment is dip-dyeing just about anything I can get my hands on, and I think dip-dyed ombre pillowcases are one of the nicest (and easiest!) gifts you can give. They’re the perfect gift for house-warmings, engagements, weddings or of course, birthdays. 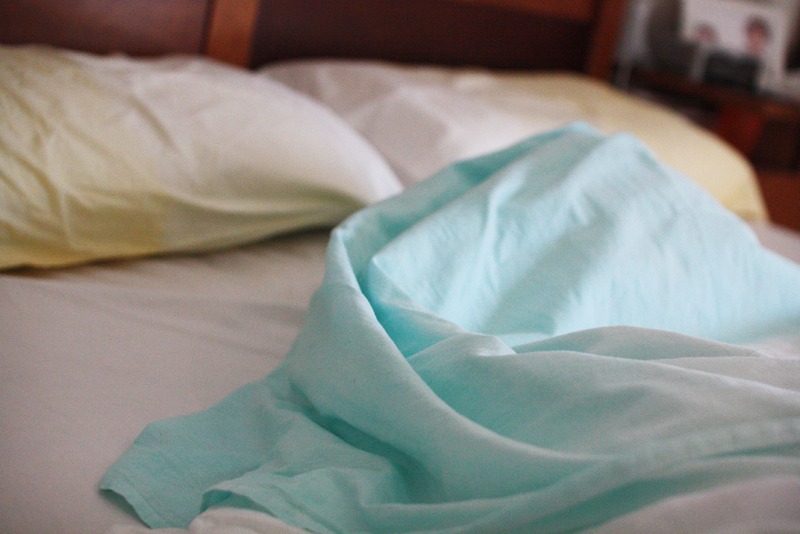 Wash your pillowcases and keep them damp. 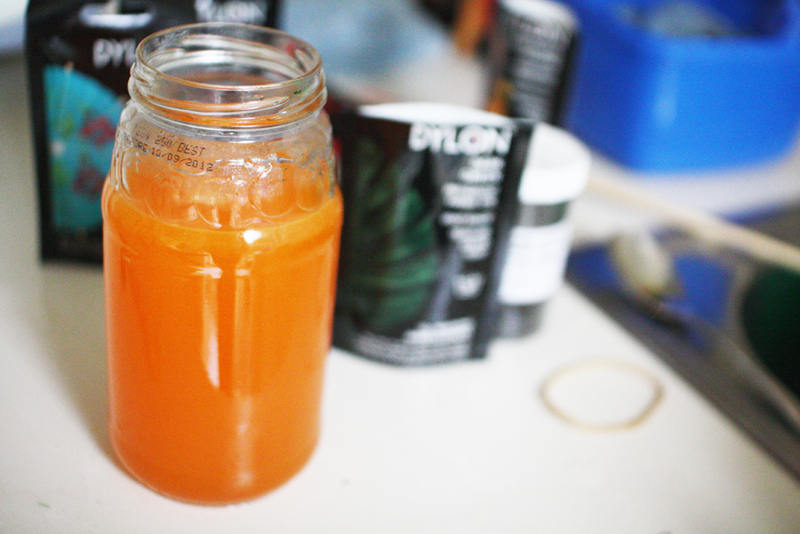 Mix up dye according to packet instructions – this will involve mixing your dye powder with hot water in your jar, mixing salt into your bucket of warm water and then adding in the dye mix. You don’t necessarily have to use the quantity of dye specified for the weight of your fabric – I quite often mix up a weaker solution in order to get a nice pastel colour. Once you have your bucket full of dye solution ready to go, take your damp pillowcase by the top two corners and dip it into the dye until it comes about half-way up. You may find it easier to fold it in half lenghwise first. Hang the remainder of the pillowcase over the edge of the bucket, clear of the dye. Leave it for a few minutes or until the desired shade is reached (this is your lighter shade). 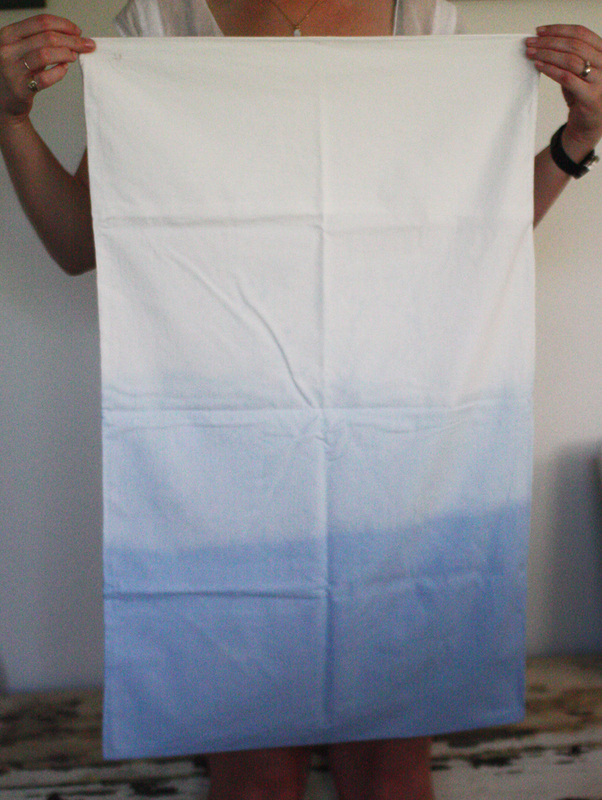 Pull the pillowcase out of the dye, leaving only the bottom 10 or 15cm in the dye. Again, hang the remainder over the edge of the bucket and leave for 45 minutes. This method will achieve good results, but the lighter shade will probably fade over time. If you want a more lasting result, mix up two dye solutions, one lighter and one darker, and dip the pillowcase in each (at different heights) for 45 minutes. 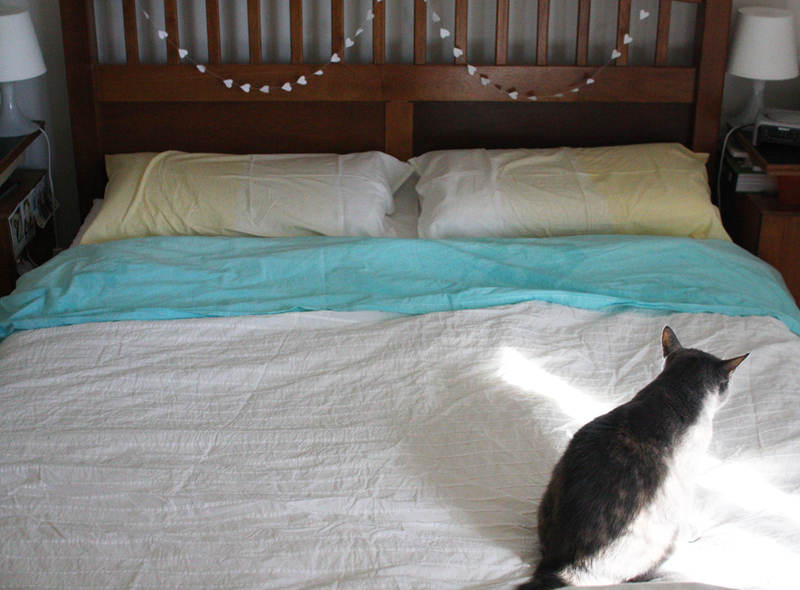 Carefully remove your pillowcase from the dye bath, making sure you keep the white part well away from the dye. Rinse it under running water, holding it lengthways with the white part at the top so that the dye doesn’t run into this section. Hang from the line with the white area at the top (in case you get any drips). Once dry, wash the pillowcases by hand or in the machine and hang to dry. With normal dyeing, I wash the item immediately after rinsing, but I prefer to dry it in-between when dip-dyeing to ensure against the colour running. 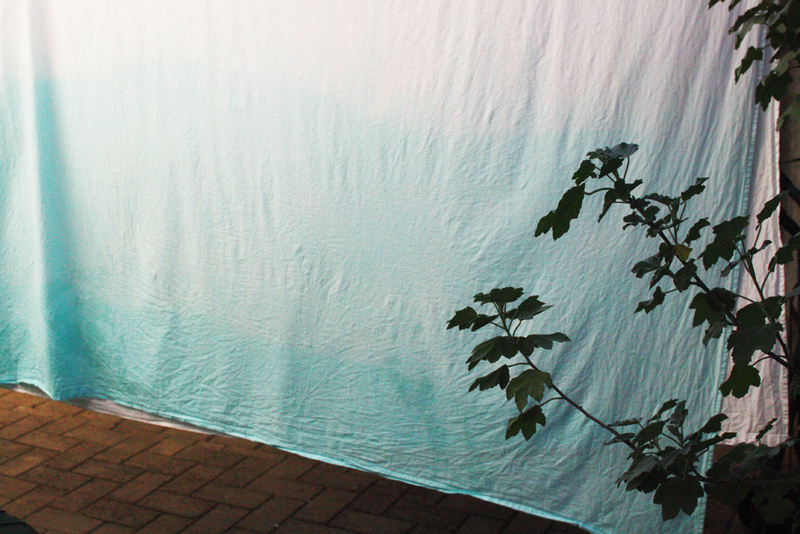 If you’re feeling keen, you can follow it up with a dip-dyed sheet to match! Simply follow the same procedure but mix up your dye in a larger vessel eg a stainless steel laundry basin. 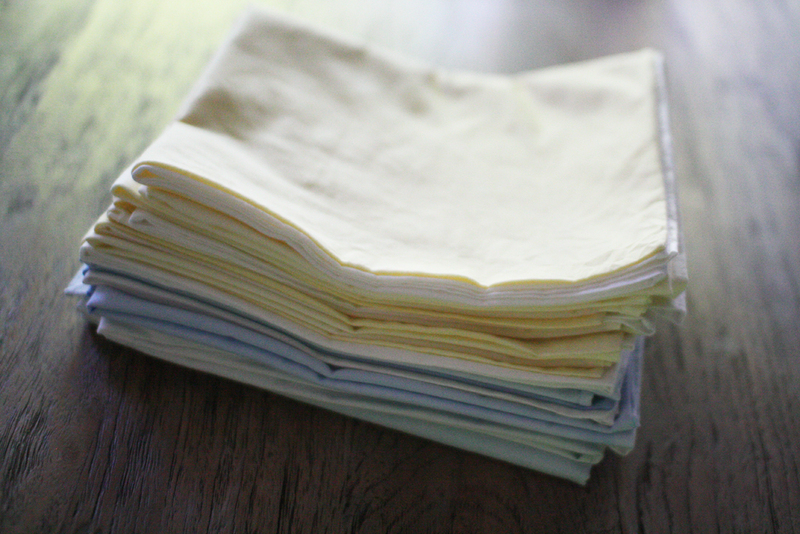 Fold your sheet in half and half again, lengthwise, to make it easier to dip. 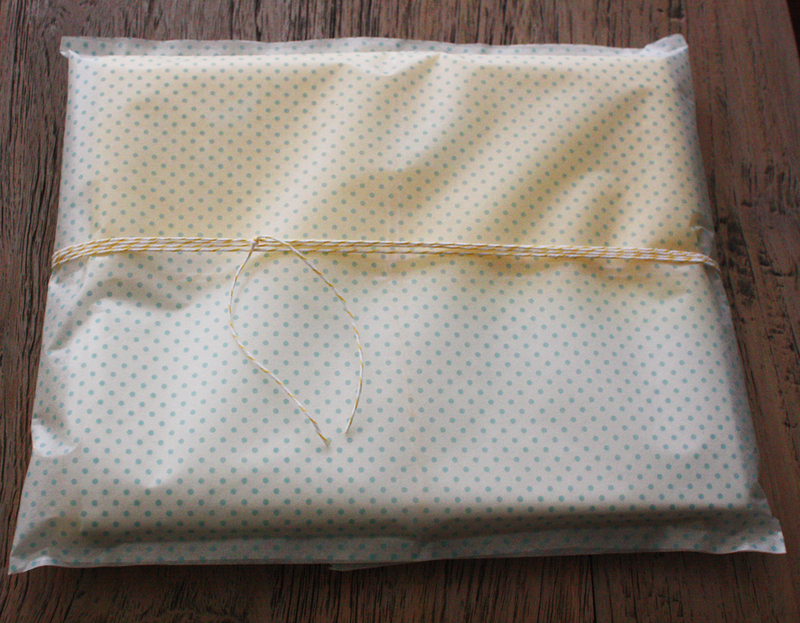 When you’re all done, wrap up your gift and hand it over to some lucky person! 27 Apr	This entry was published on April 27, 2012 at 6:27 am. It’s filed under make and tagged make. Bookmark the permalink. Follow any comments here with the RSS feed for this post.